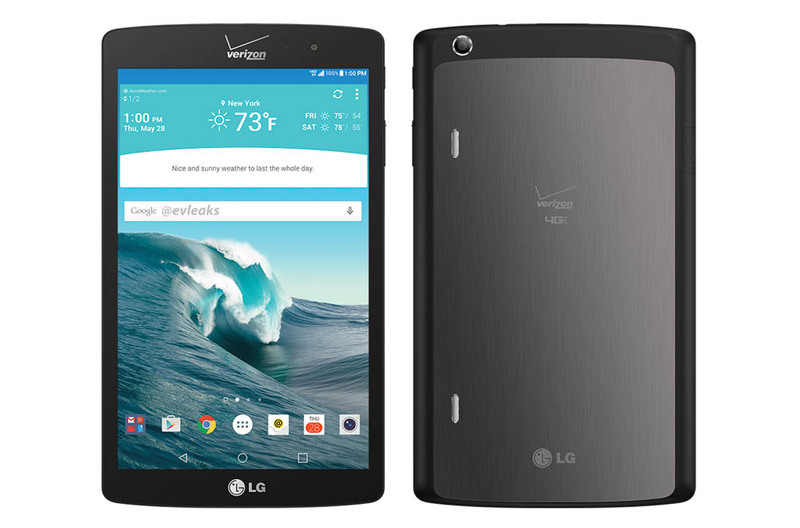 Yesterday, retired leaker @evleaks told us to expect a never-before-seen LG tablet on Verizon in the near future. He called it the G Pad X, which sounds a lot like a continuation of LG’s G Pad line of tablets that included the G Pad 8.3 LTE. While we still don’t know much in terms of specs, price, or a timeframe for release, Evan did post a picture of the device today. In the image above, you can see a tablet that looks a lot like last year’s G Pad 8.3, but has a slightly tweaked back design with a faux-metal middle area. We still have the dual-speaker setup and left-corner positioned camera from last year’s tablet, along with a front panel that appears to want to hang out in portrait mode. The device is running Lollipop and LG’s UX skin. Oh, Verizon managed to brand it twice as well.